* AGRICULTURE: Farmers have so far sown kharif crops over 63.15 mln ha in India, down 9% from 69.64 mln ha a year ago. Over 50 bln rupees worth of crop insurance claims under the Pradhan Mantri Fasal Bima Yojana for the 2017 kharif season are yet to be paid to farmers, said Ashish Kumar Bhutani, joint secretary-credit and cooperation, Department of Agriculture & Cooperation under the farm ministry. * AVIATION: Andhra Pradesh Airports Development Corp has invited bids to develop a greenfield international airport at Bhogapuram village near Visakhapatnam, six months after the first tender for the airport was cancelled. The Airports Authority of India is likely to finalise a deal with the Gujarat government by next month for the proposed 20-blnrupee Dholera airport. * BANKING: The automated teller machine operations industry on Friday said introduction of a new 100 rupees note creates many challenges and an investment of 1 bln rupees will be required to recalibrate the countrys 240,000 machines. * COMMODITIES: The Reserve Bank of India has increased its gold reserves by 600 kg in May to 560.9 tn, the World Gold Council said, citing data from the International Monetary Fund. * CORPORATE: The Bombay High Court's stay on showcause notices issued by the income tax department to six Tata Trusts will continue, while the matter will be heard next month. * DEFENCE: The details of India's deal to buy 36 Rafale fighter jets from France are classified due to an earlier agreement between the two countries to maintain secrecy of all defence deals, the European nation said. * ECONOMY: India's annual inflation based on the Consumer Price Index for agricultural labourers fell to an 11-month low of 1.94% in June from 2.18% in May, the Labour Bureau said. The subscriber base of the Employees' Provident Fund Organisation rose by 743,608 in May, the highest in nine months. * FAST-MOVING CONSUMER GOODS: Listed dairy companies stand to gain little from the increase in export incentives on dairy products as the sops being offered by the government are not adequate and revenue contribution of foreign markets is minimal. * INFRASTRUCTURE: The Ministry of Road Transport & Highways and the National Highways Authority of India are gearing up to execute highway projects worth 2.25 trln rupees and 15,000 km in length. 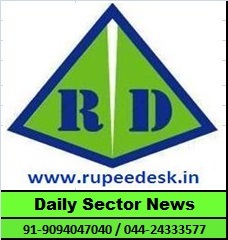 * INSURANCE: The government's health insurance scheme Ayushman Bharat - National Health Protection Mission may only cost the exchequer 50 bln rupees in the current financial year because of the time taken to roll out the scheme. The flagship health scheme may cost 100 bln rupees only next fiscal when it is rolled out across India. * LAW: The Supreme Court Collegium has again recommended the name of Justice K.M. Joseph of the Uttarakhand High court for judgeship at the apex court. * RAILWAYS: The flexi-fare scheme has made tickets of premium trains costlier than airfare in some cases, hitting occupancy across most classes, the Comptroller and Auditor General of India noted in its audit report for Indian Railways. The Comptroller and Auditor General of India has questioned the need for setting up a diesel locomotive manufacturing unit in Marhowra, Bihar, when it aims to electrify all routes by 2021. The Indian Railway Catering and Tourism Corp will charge a fee of 12 rupees along with taxes on every ticket booked from service providers such as Yatra, MakeMyTrip, Paytm and Clear Trip. * REGULATORY: The Securities and Exchange Board of India is likely to come up with new guidelines with an aim to boost the listing of startups in the main platform of the BSE and the NSE. The revised norms may come into force in two months. Companies with outstanding borrowing of at least 1 bln rupees with credit rating of AA and above will have to meet a fourth of its incremental borrowing from bond market starting from 2019-20 (Apr-Mar), SEBI proposed in a consultation paper. * TELECOMMUNICATION: The Supreme Court on Friday refused to allow the Department of Telecommunications to invoke bank guarantees worth 4.5 bln rupees against Aircel. The Telecom Regulatory Authority of India on Friday proposed that the Department of Telecommunications amend its mergers and acquisitions guidelines for payment of spectrum charges. Minority investors are getting edgy over the lack of clarity in Tata Sons' decision to sell Tata Teleservices' enterprise business to group company Tata Communications and the delay in the progress of the deal. * TRANSPORT: The National Highways Authority of India has tweaked the second set of contracts to be offered under the toll-operator-transfer model faced with prospects of low traffic volumes on certain upcoming highways due to them being parallel projects.